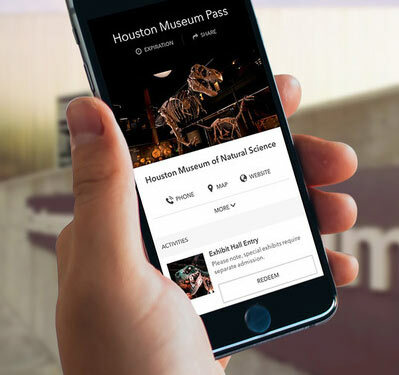 The Houston Experience Marketplace curates the best of Houston's happenings and year-round attractions into unique experience passes delivered instantly to your phone via text and email and are ready to use immediately with nothing to download. So what are you waiting for? Experience Houston today! Performances by New York City Ballet, Royal Danish Ballet, Maria Kochetkova, Semperoper Ballet Dresden & more from Italy, Finland and USA! Showcases portraits, landscapes, and still lifes drawn primarily from the collections of the Van Gogh Museum in Amsterdam and the Kröller-Müller Museum in Otterlo, the Netherlands. Spend less, experience more at 7 Houston locations! Marriott Bonvoy members receive an extra 5% off! Pick four breweries to visit! Eat, learn and explore during this exclusive foodie experience! Nearly 50% off regular admission! One of the most visited museums in the US. Includes admission to the permanent exhibit halls. Does NOT include special exhibitions, planetarium or butterfly center. Excite your senses with coffee, chocolate and BBQ! The last Friday of each month - limited capacity! Save on admission to four kid-friendly museums! Over 40% off adult admission to all three venues! Rated the No. 1 children's museum in the U.S. by Parents magazine. To enter the Museum, your group must include a child. 90,000 square feet of innovative, interactive, bilingual exhibits for kids, from birth to 12 years. Housed in a whimsical Robert Venturi-designed building. The only museum in the U.S. dedicated to preserving the legacy and honor of the African-American soldier. Kids 5 and under are free. A great show for Girls Night Out! Save 20% off regular admission! The most realistic Escape room in the U.S. patterned after the Apollo 13 Lunar Mission that has been called ‘the successful failure’. You and your team will be awed by the realism and fun of this escape room. Working under pressure, your team will need to help your astronauts return home safely from space. You have 60 minutes to save the crew! Tasting flight at two of Conroe's finest breweries! Learn about Houston from a local! Sit back and relax with your friends! You are elite detectives in 1910 London. A man was found dead in Marylebone Manor and you have been called to investigate. This case is strange as suspicious cipher messages appeared at the manor just prior to his death! You must find the name of the culprit, decipher these messages and determine the motive before the trail goes completely cold! Can you figure out WHO DUN’ IT? Brand new experience in Houston! The museum exhibit of first president of the Texas Republic, Sam Houston, has been broken into by thieves. The original Texas Lone Star created in 1836 has been stolen and is to be sold on the black market. Detectives, you have 1 hour to recover the artifact before the museum exhibit opens. Can you recover the Lone Star artifact before it is lost forever?! See Big Al and Big Tex - both over 13 ft! Stations located in areas like Downtown, Midtown, Montrose, East End, Third Ward, Museum District and Buffalo Bayou Park . Tour Asia without leaving Houston! Make meaningful memories with your child! 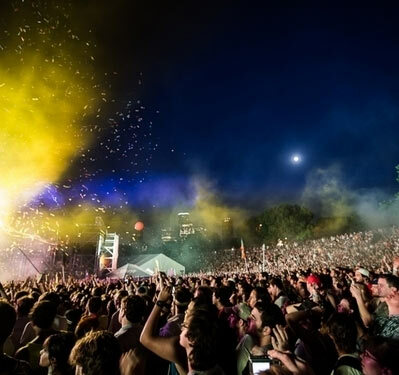 We bring together the city’s best tours, tickets and experiences to make it easy for you to discover, buy and enjoy. 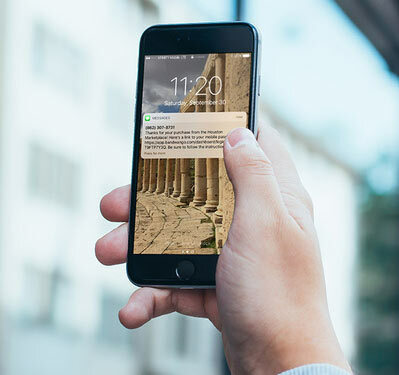 Purchased experiences are delivered instantly via text message and email, with no app to download, offering a one-touch resource for tickets and information. Simply show your phone to redeem for your experience and take advantage of special perks. Get the best of Houston instantly on your phone.